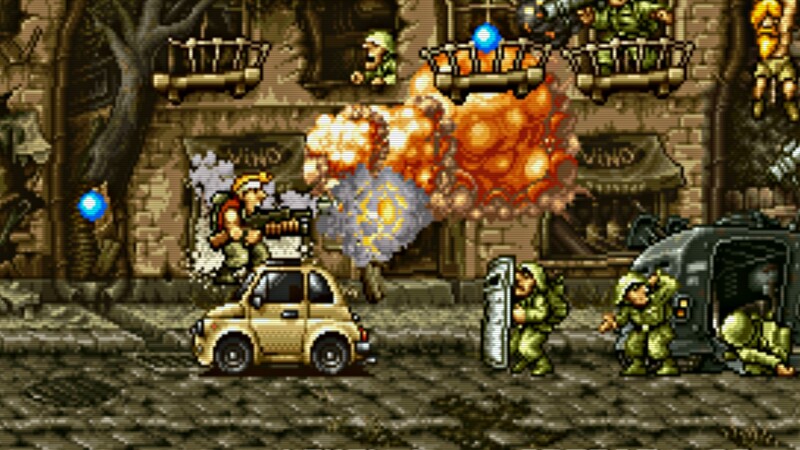 Краткое описание: One year after the events of Metal Slug 3, the world is trembling under the new threat of a mysterious but deadly cyber virus that threatens to attack and destroy any nation's military computer system. With Tarma and Eri unable to help due to their own assignments in the matter, Marco and Fio are called in to investigate the situation and are joined by two newcomers, Nadia and Trevor. 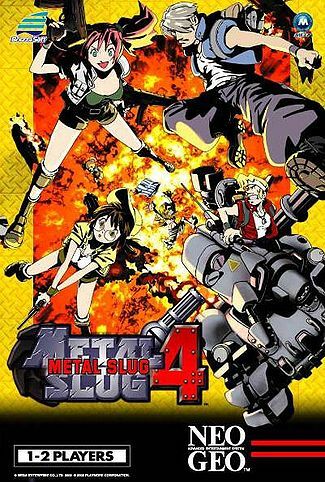 In their investigation, the group discovers that a terrorist organization known as Amadeus is behind the nefarious plot and that they head into battle against Amadeus' forces, hoping to destroy the cyber virus before it gets the chance to wipe out the entire world's military computer system. 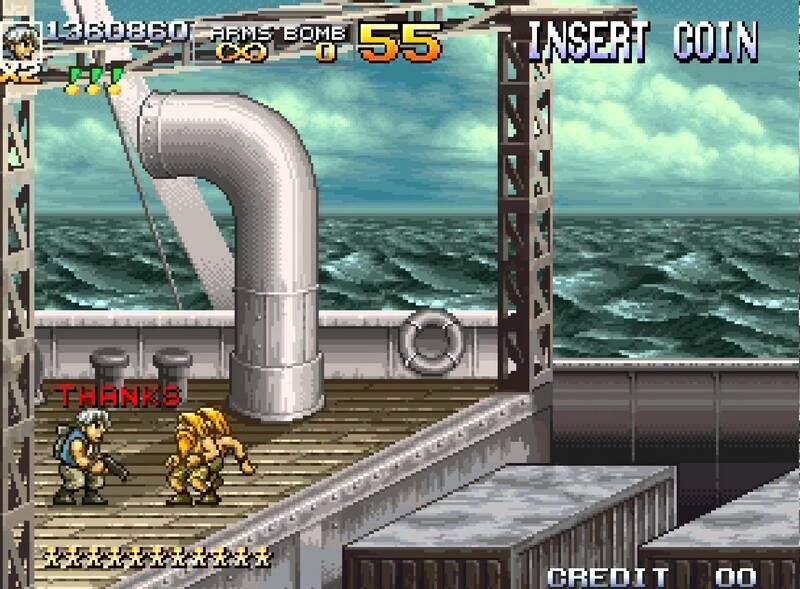 One year after the events of Metal Slug 3, the world is trembling under the new threat of a mysterious but deadly cyber virus that threatens to attack and destroy any nation's military computer system. With Tarma and Eri unable to help due to their own assignments in the matter, Marco and Fio are called in to investigate the situation and are joined by two newcomers, Nadia and Trevor. 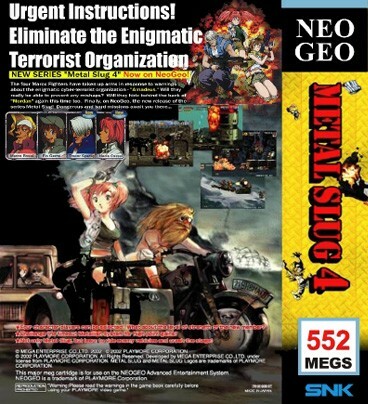 In their investigation, the group discovers that a terrorist organization known as Amadeus is behind the nefarious plot and that they head into battle against Amadeus' forces, hoping to destroy the cyber virus before it gets the chance to wipe out the entire world's military computer system.